A semi-finalist two years ago in the German city of Düsseldorf, four years earlier the same outcome in Paris, for China’s Xu Xin at the forthcoming Liebherr 2019 World Championships, play commencing in Budapest on Sunday 21st April, his task is to complete the full house. The men’s singles is the one title missing from his collection; furthermore, there is an encouraging omen. Ever since 2010 in Moscow, Xu Xin has been a member of the successful Chinese men’s squad at the World Team Championships. In 2011 in Rotterdam he won the men’s doubles title partnering Ma Long, four years later in Suzhou he repeated the feat in harness with Zhang Jike, in addition to reserving the top step of the mixed doubles podium alongside Korea Republic’s Yang Haeun. Now, this could be the year for Xu Xin to complete the collection; the reason is the year ends in the number nine. 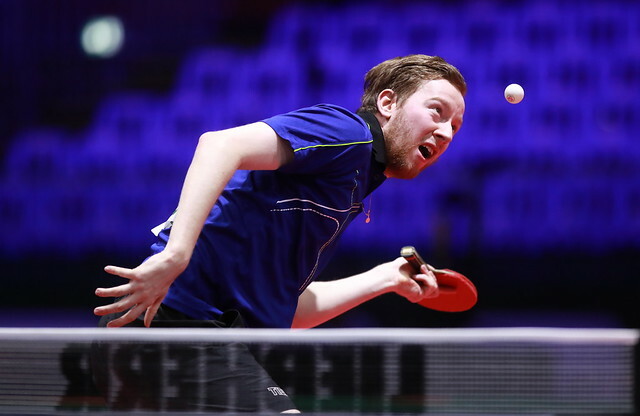 Since Sweden’s Jan-Ove Waldner won in 1989 in Dortmund, now 30 years ago, the only occasions when the men’s singles event at a World Championships has been won by a pen-hold grip player, the year ended in nine. In all Chinese finals, in 1999 in Eindhoven, Liu Guoliang beat Ma Lin in a dramatic contest to secure the title (21-16, 19-21, 19-21, 21-16, 24-22); ten years later in Yokohama in 2009, Wang Hao secured the top prize at the expense of Wang Liqin (11-9, 13-11, 11-5, 11-9). Furthermore, if we turn the clock back even further; since England’s Johnny Leach won in 1949 in Stockholm, the only shake-hands grip player to have won when the year ends in the number nine is Jan-Ove Waldner. On all other occasions the shake-hands variety has prevailed. Ten years after the success gained by Johnny Leach; in 1959 in Dortmund China’s Rong Guotuan bt Hungary’s Ferenc Sido in the final (19-21, 21-12, 21-15, 21-14), in 1969 Japan’s Shigeo Ito accounted for Eberhard Schöler at the time representing West Germany (19-21, 14-21, 21-19, 21-15, 21-9), before in 1979 in Pyongyang, also from Japan, Seiji Ono struck gold at expense of China’s Guo Yuehua 25-23, 21-17, 18-21, w/o). Notably Seiji Ono is the only left handed pen-hold grip player ever to win the men’s singles title at World Championships; can 40 years later can Xu Xin follow suit and complete the full house nine years after nis Moscow debut? The numbers are in his favour.